Includes a specially marked red Bicycle Mandolin deck and a 45-minute online instructions by Luke Jermay. Usable for magicians but built particularly for mentalists, the Marksman Deck is jam-packed with information that allows you to do effects never before possible. "Theodore De Land's Automatic Deck premiered in 1913 and has been a personal favorite for four decades. Leave it to Luke Jermay to modernize the best parts and then add actual improvements. The Marksman is an absolute bull's eye." "The kind of effects one dreams of are now possible thanks to this utility prop. More proof that Luke is an exceedingly clever thinker and performer." "I've seen a lot of marked decks, but I think this must be one of the best ever designed. Jermay has not only done yeoman work in the design and placement of the various marks (which are pleasantly easy for the trained eye to read), but has added a number of unique marks designed especially for particular routines that otherwise would require a lot of difficult sleight of hand. The instructions come in the form of a DVD in which Jermay explains everything simply and clearly. 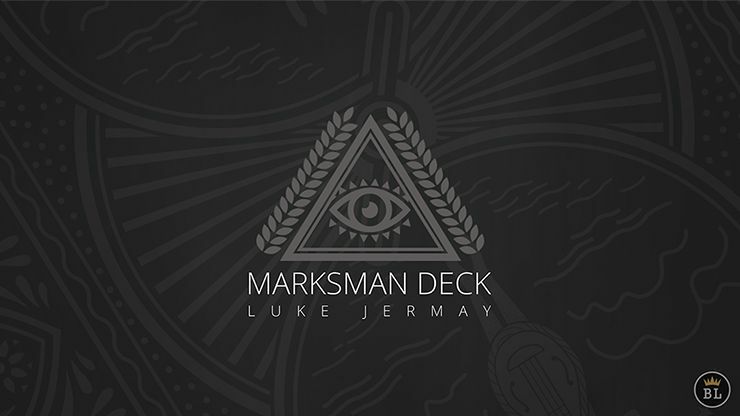 I think the Marksman Deck is something you will actually use." 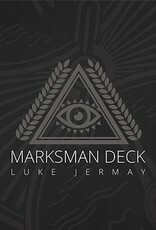 "With Jermay's Marksman Deck, you will hit the bull's eye and perform deadly routines. Its combined features make it the perfect weapon in your arsenal!" "Over and over, the debate 'should a mentalist use playing cards?' pops up in threads among enthusiasts of the field. I personally never believed the premises of the question itself, but here is a most cogent answer in the form of a new, brilliant Jermay release. Luke took a classic idea and turned it into something that has so much more potential than anything similar yet available. More than a utility device, this is a fully engineered system waiting to be exploited by the savvy performer. A companion book, with thoroughly detailed routines and scripts, will guide you in discovering this most amazing advance in the art of demonstrating psychic miracles with just a deck of cards." Add the Marksman Deck to your tools, and watch your mentalist abilities soar!